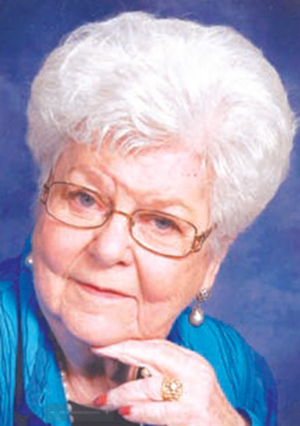 Obituary – Treadway, Wileeta Claire (Paden) « Perry High School Alumni Association, Inc.
Wileeta Claire Treadway, 87, of Midwest City, Oklahoma passed away Wednesday, January 9, 2019. Wileeta was born May 31, 1931 in Woodward, Oklahoma to Clarence and Idah Paden. She graduated from Perry High School in 1949. While at Perry H.S. she met her love, Durrell Treadway. 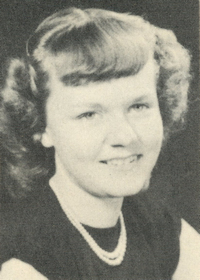 Wileeta attended Oklahoma A&M (OSU) & was a member of Pi Beta Phi sorority. On November 23, 1951 Durrell & Wileeta married. They moved to Midwest City in 1959 where she has resided for 59 years. She was a member of Wickline United Methodist Church and was involved with the Elizabeth Circle, Koinoniah Sunday School class and a charter member of the NOAH (Not Old At Heart) club. She was a member of PEO, the Bluebell Garden Club & several bridge groups where she developed life-long friends. Wileeta was an avid OSU fan, attending OSU basketball & football games for almost 50 years. She was the co-owner of Nana’s Niche antique store in N.W. Oklahoma City and conducted estate sales throughout Oklahoma with her friend, Pat Padgham. Mom, Grandma, Aunt Lita had the gift to transcend any age or generational boundaries & made everyone she met feel special & loved. Wileeta was preceded in death by her husband of 54 years, Durrell Treadway. She established a true legacy of love and leaves behind daughter, Teresa Sanders & husband Sidney of Midwest City, son, David Treadway & wife Cindy of Edmond, daughter, Stacey Price & husband Steve of Austin, Texas and daughter, Stephanie Treadway of Edmond. Eight grandchildren: Connor, Cammie & Cori Sanders, Paden & Abby Treadway, Shelby Jinks, Hayley & Tanner Price; four great grandchildren: Meah, Nova & Rhett Sanders & Madelyn Jinks; one sister, Judy Rader and a multitude of friends & extended family. Her life will be celebrated on Saturday, January 26, 2019, 10:00 a.m. at Wickline United Methodist Church, Midwest City, OK after her grandson returns from Afghanistan. In lieu of flowers the family requests memorials be made in Wileeta’s name to Hospice Quality Care, 921 S. Sooner Rd., Midwest City, OK 73110.